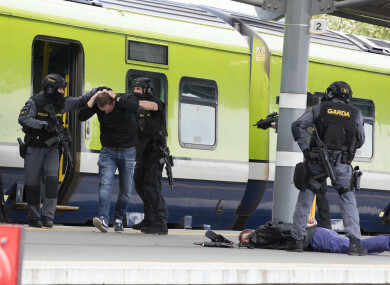 A NEW intelligence unit to assess threats to State will be set up by the end of the year, according to the Taoiseach, who said Ireland is “as prepared as any country can be” for a terror attack. Setting up the new Strategic Threat Analysis Centre was one the proposals made by the Commission on the Future of Policing in Ireland. Last year, Justice Minister Charlie Flanagan moved to immediately establish threat assessment body. The new centre will co-ordinate security and intelligence at central government level. “We have seen horrendous terrorist attacks occur across the water in Britain, France, America and now in New Zealand. You know, countries can only be so prepared for acts of appalling violence that are carried out by individuals or small groups. “But among the things we are doing for example in light of the recommendations from the O’Toole Commission is putting together a strategic threat assessment centre, essentially a coordinating body which will be under the aegis of my department and that will coordinate the work of the gardai intelligence, of defence intelligence and also the cyber security unit,” he said. Varadkar said the government is doing a few things to bring together and coordinate intelligence and national security. He said the new centre should be set up this year. Email “New intelligence unit to assess threats to State security will be set up by the end of the year”. Feedback on “New intelligence unit to assess threats to State security will be set up by the end of the year”.